Tennessee may get chilly in the winter, but you’ll find no shortage of tanning salons to keep you warm and golden all year long. No matter how you like to tan, whether it’s on a bed or with a spray, 10 minutes or 30 minutes, there’s a tanning salon to match your style. Keeping your color year-round has never been easier than with a trip to one of these 10 best tanning salons in Tennessee. This family-owned and operated business offers three levels of tanning to help you achieve that gold glow you deserve. They can help you customize your tanning routine to ensure you get the best results. In addition, they have a top-notch spray tanning booth that’s UV free and offers heated drying—a wintertime bonus that’s hard to ignore! After a few visits here your friends will think you’ve truly been to paradise and back, thinking that’s the only reason for your phenomenal tan. This tanning salon is nothing short of Zen, offering massage chairs, spray tanning, hair nail salon services, and yes, even vacation planning. This place is so much more than a tanning salon. It’s more like a tanning spa, giving you rejuvenating treatments like the Fit body wrap, Luminaire red light facials, a massage chair, and tanning for every skin tone and desired results. Come in and try our Hydration Station Vitamin Steam Pod. You can get 4 visits and unlimited Lumiere Red Light Facial coupled with Cyber Relax Massage Chair for $45 per month!⠀ ⠀ Hydration Vitamin Steam Pod is 118 degrees of radiant heat that hydrate the clients' skin, provides natural skin cleansing and balancing, while leaving a radiant glow, and helps tanners achieve the darkest and richest UV color.⠀ ⠀ The Hydration Vitamin Steam pod with use of Slimline care products helps clients detox, and lose weight, while encapsulated in 118 degrees of radiant heat. You might not be a beach bum, but you can sure look like one! This place has everything you need to stay glowing all year long. First-timers get great discounts (including a free tan), and membership prices are low to help you get a good tan that fits your budget. Oh how I've missed you!! Heeheehee let's get warmed up!! This chain of tanning salons has dozens of locations throughout Tennessee, and for good reason: they’re simply among the best. You can expect consistent quality at each location, as well as some of the most state-of-the-art beds available. They offer a variety of plans and memberships so you can get the tan that’s right for you. This tanning boutique is a one-stop shop for quality tanning, lotions, and gifts. Their fans rave about the cleanliness of the beds and other areas of the salon (a pretty big deal in the tanning world). This award-winning salon is tops in the business. They offer a good selection of packages to meet your needs, as well as superior service from staff that can help you reach your goals quicker. 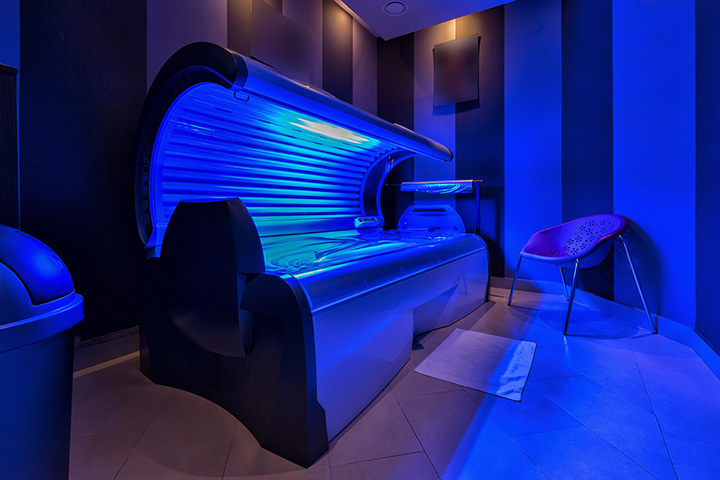 This tanning boutique has a flair for all things radiant. From high-quality tanning beds to clothing, jewelry and other boutique finds, you get a unique experience every time you visit. ***SPECIAL 20 MINS $15 or 30 MINS $25**** Looking to loose weight with out hard work out?? Come by try our massage Bed not only do you get a massage but you can relax in 4 different heat/massage settings infrared light & aroma therapy!! There’s no appointment necessary at this unique tanning salon-slash-video rental store. They have six locations throughout the state, offering some of the best deals in the industry. They carry top-quality brand name lotions, as well as offer personalized tanning options to suit your needs. This full-service tanning spa also offers, sunless tanning, teeth whitening, a fat loss program, red light therapy, hydro massage, and other services. You’ll feel like a brand new you with every visit.